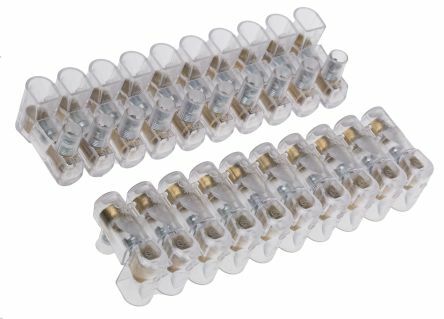 Non-fused terminal blocks are modular, screw-type electrical connectors used to connect two or more wires together. The wires are usually clamped down to the metal part by a screw. 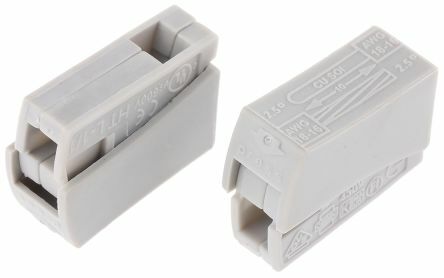 Terminal blocks allow more than one circuit to connect to another circuit. How do non-fused terminal blocks work? Non-fused terminal blocks typically have several screw terminals to connect a number of wires on either end. 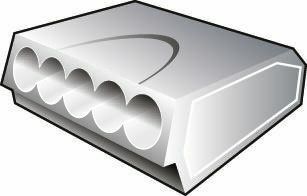 They often contain two long copper or aluminium strips that are designed to connect different components. The strips act as busbars for the distribution of power that is sent to the connected components. What are non-fused terminal blocks used for? Non-fused terminal blocks have a broad range of applications, ranging from sound equipment to electrical installations. 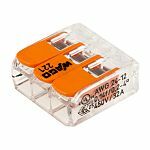 They are often used in surge protectors, and you will also find them in several public address systems for speakers and other inputs and outputs. 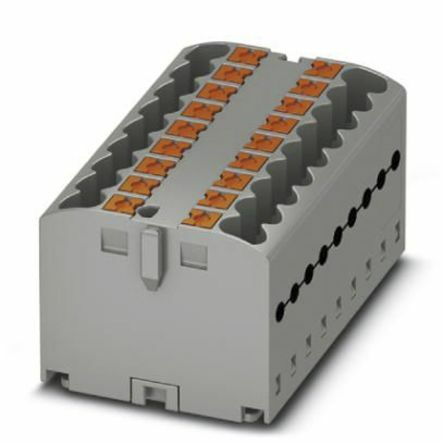 Non-fused terminal blocks are also widely used electrical wiring to connect switches as well as other major appliances to plugs in residential and commercial settings. Clear polycarbonate (PC) flame retardant housingRigid and easy cutBrass insertsGalvanised steel screwsAll screws are captive and raised for easy wiringWorking temperature up to 85°C with a maximum of 120°C and short term (1 hour) at 130°C.